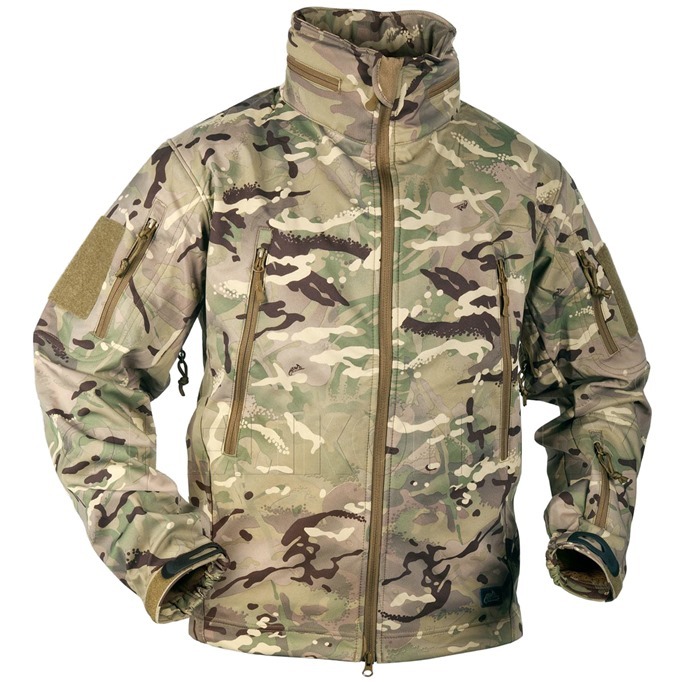 Helikon Gunfighter Soft Shell Jacket is warm & breathable windblocker featuring breathable superfine fleece lining that insulates & gives an ideal protection against wind & rain, along with special, 4-way elastic polyester soft shell body (known as Shark Skin), laminated with Dupont’s Teflon for extra durability. 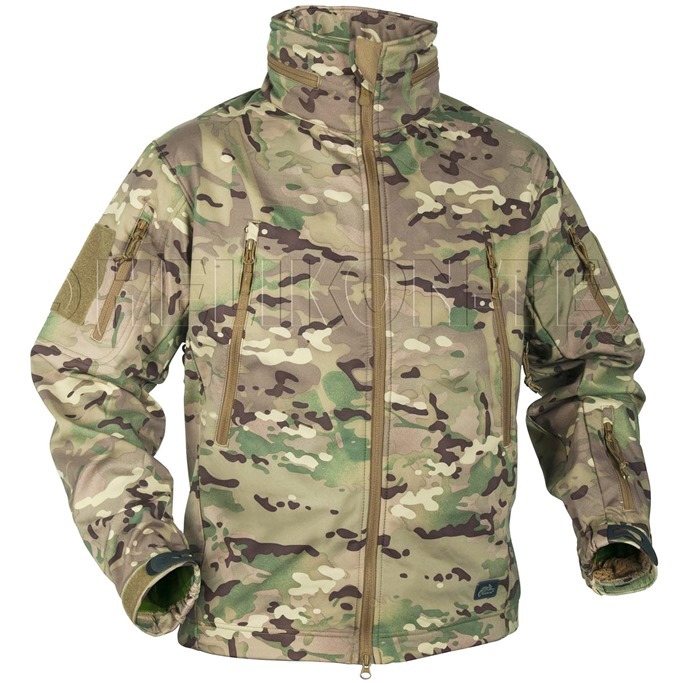 Gunfighter Soft Shell Jacket goes with strong full-front windproof zipper with double zipper pull, high collar & adjustable cobra style hood with elastic draw string. The hood itself can be simply rolled into the collar & secured there with a zip closing. Moreover, while in use the hood opening can be easily regulated through 2 drawstrings located in both chest pockets and without a need of taking hands out of pockets. Furthermore the jacket goes with 1 inside pocket with Velcro, 2 upper arm pockets with zippers & Velcro plates, small zip pocket on the lower left sleeve & a single pocket on the lower back with 2 openings. Both chest & sleeve pockets have D-rings & thru ‘headphone’ holes inside. Additionally chest pockets go with a number of useful small compartments. What is more the jacket has a armpit ventilation zippers, adjustable Velcro wrist cuffs & drawstring waistband with cord lock. Perfect choice for police, security, military & EMT personnel, as well as for paintball or airsoft enthusiasts. Ideal for fishing, hunting & other outdoor activities no matter the weather.